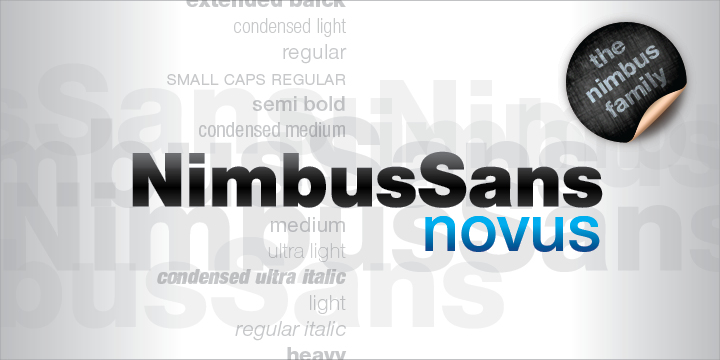 Nimbus Sans Novus is a sans-serif typeface published by URW++ in 2001. This liniar sans family font contains 55 fonts that is perfect for magazine, newspaper, business text etc. A font description published on Friday, April 11th, 2014 in Fonts, URW++ by Alexandra that has 3,826 views.